We are ranked amongst one of the topmost Ultramarine Blue Manufacturers and Suppliers based in Pune. The company offers the best quality Laundry Grade Ultramarine Blue that is made in a rotary calcinatory. 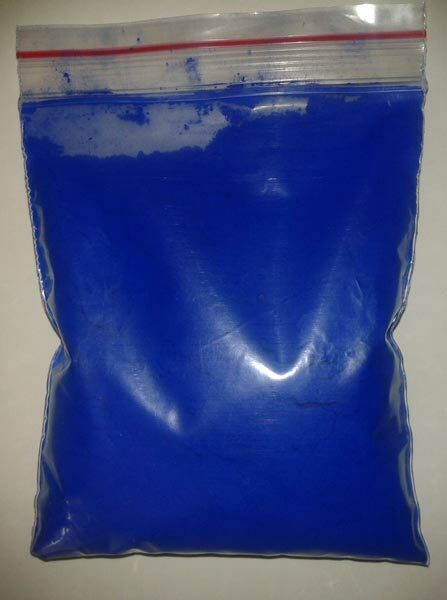 Largely demanded by the clients, Ultramarine Blue that we offer is used for optical whiteness in plastics, rubber, inks, paints, cosmetics, detergents, cement, textile and paper. Made available in different packaging choices, the Ultramarine Blue is very affordable.